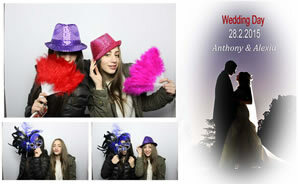 Stylish Photo Booth... Capturing Candid Moments! There''s no better way to make sure your guests have a good time and capture the memories of your event than having a photo booth. It''''s a great way at entertaining your guests at any event, and takes away the worry of capturing those special moments. Photos, Scrapbook, CDs and Videos! One picture is for your guest, the second is for your guest book. At the end of the evening we will copy all of the images onto a disc for you to keep. 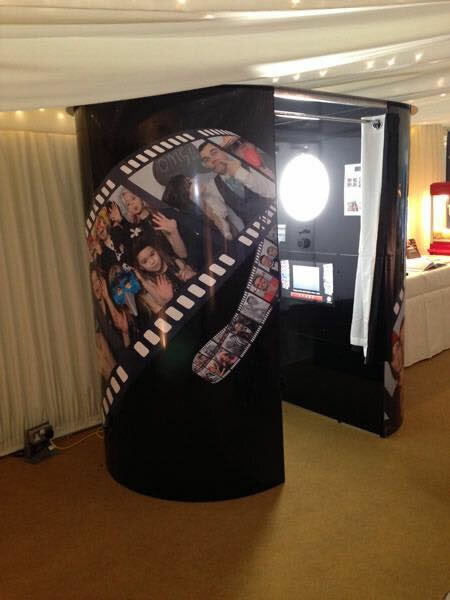 And how about capturing the moment with the video capability of the booth, your guests can leave video messages which are also then saved onto a disc at the end of the evening and presented to you to keep? We add a scrapbook to your photo booth rental allows your guest to leave a copy of their images, with a personalized message, for you to keep also. Your picture CD contains every single guest photograph of the night as a memento or to give as a thank you disc to your guests. This CD breaks all the images down into individual files perfect if you want to reprint individual pictures. Also with the video feature you get a DVD of all the video clips too. Our booth is fully enclosed with curtains, so your guests are comfortable showing off their personalities and having a bit of fun. 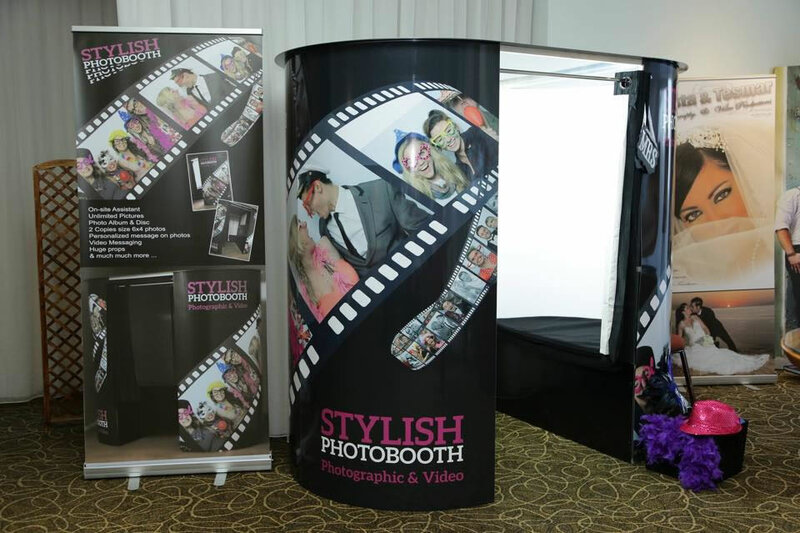 Our booths have a very large interior, allowing multiple guests to enter and capture their images comfortably. Our printers are fast and can print an image about every minute (basically unlimited prints. 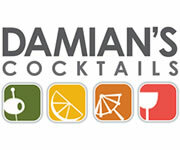 Our booth rentals include a fun, out-going booth attendant, who will guide your guests along and keep the party moving. 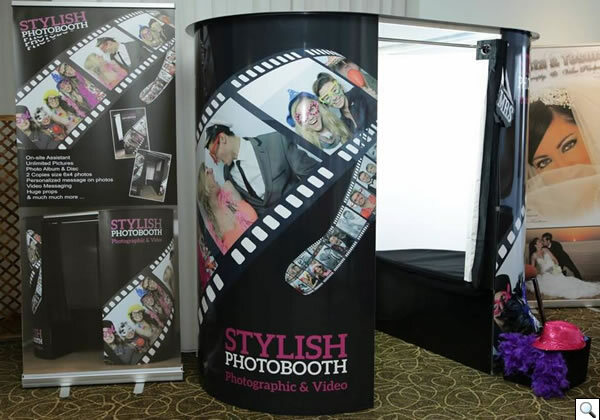 Stylish Photo booth staff will deliver, setup and stay by your photo booth for your event. 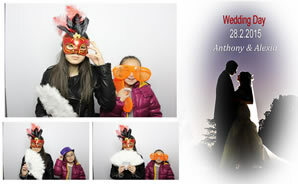 We will be able to customized backgrounds and branded photo prints. 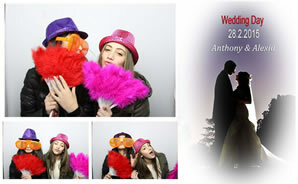 Our professional Photo Booth attendant will deliver, set up and stay by your photo booth during the entire event. 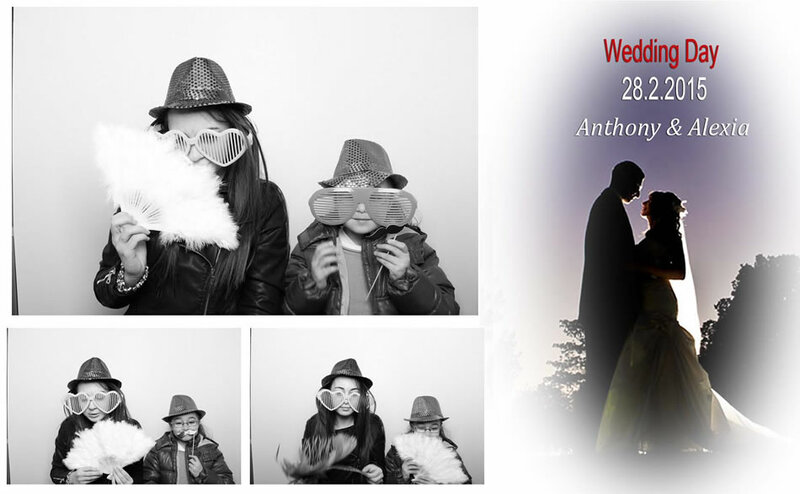 They will even help your guests post and print their photos, or add them to your keepsake scrapbook. 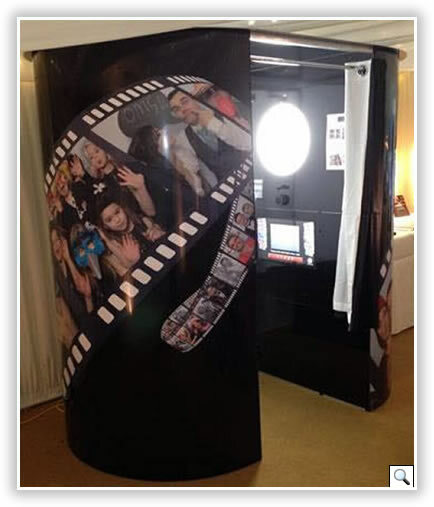 Our photo booth rental will work with your needs and with your budget to make sure you have a successful event. The Photo booth is ideal for Weddings, Corporate Parties, Reunions, Graduations, Birthday Parties, Anniversaries, Or about any event where a little extra fun is on the agenda! 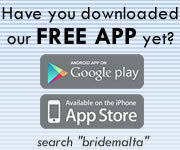 This page has been visited 3011 times.